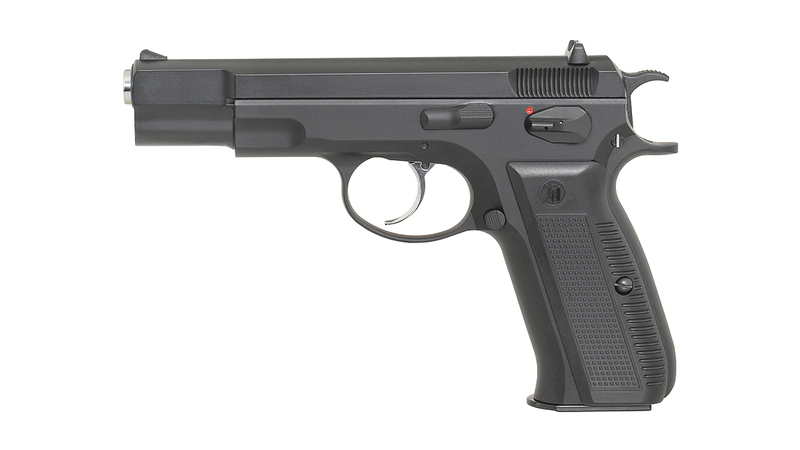 CZ-75 is czechoslovak origin and is a pistol designed in 1975 by Koucky brothers, who at that time worked in the Ceska Zbrojovka national arms factories. 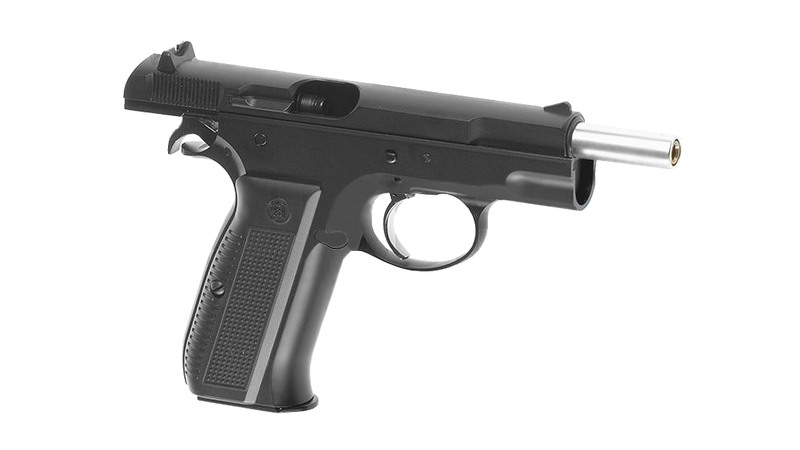 Production of this gun began in 1976 and was a success in the weapons world. 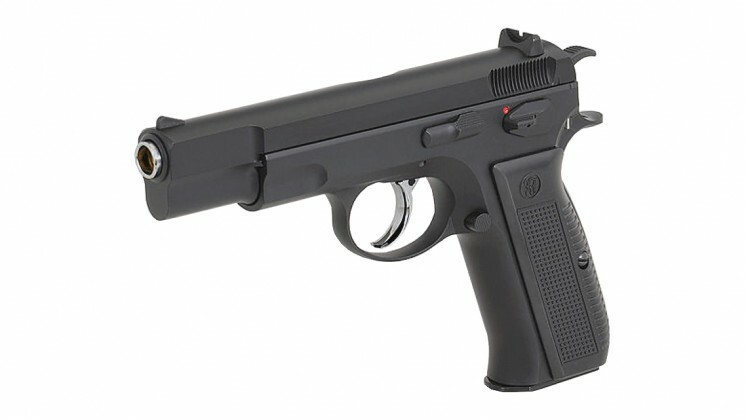 CZ-75 platform was able to meet the best qualities of that time. 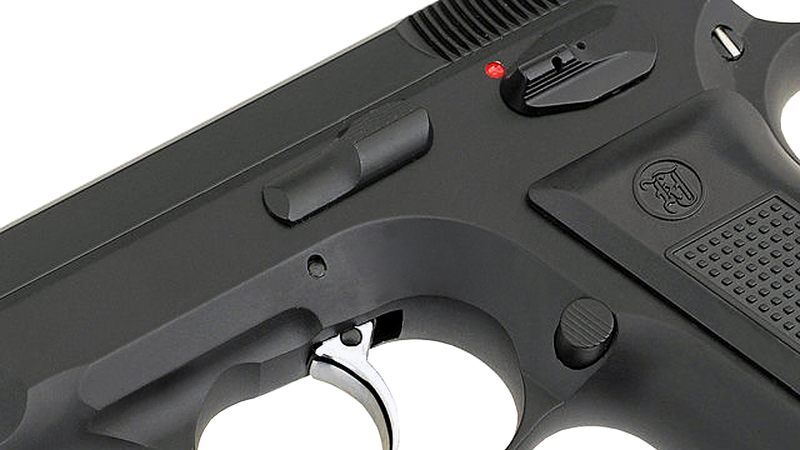 The pistol design, comfort and reliability especially recommended it worldwide. 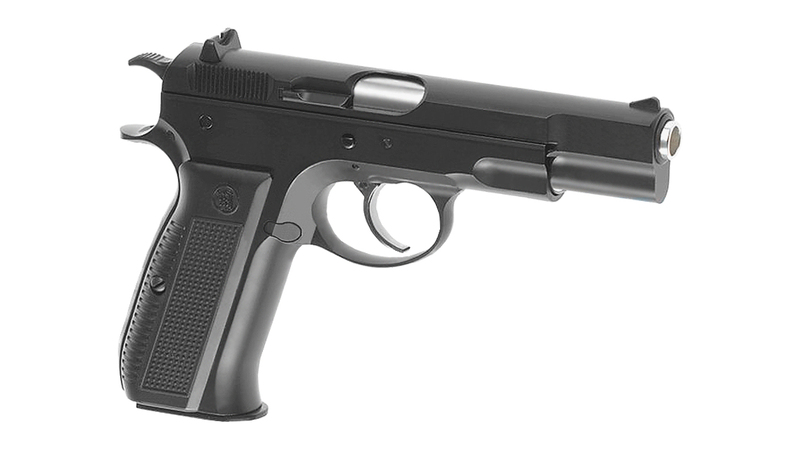 The pistol was so appreciated that more weapons manufacturers have copied the base platform, so the principle CZ-75 can be found at 941- Israeli Jericho, TZ-75's Italian but also at others. 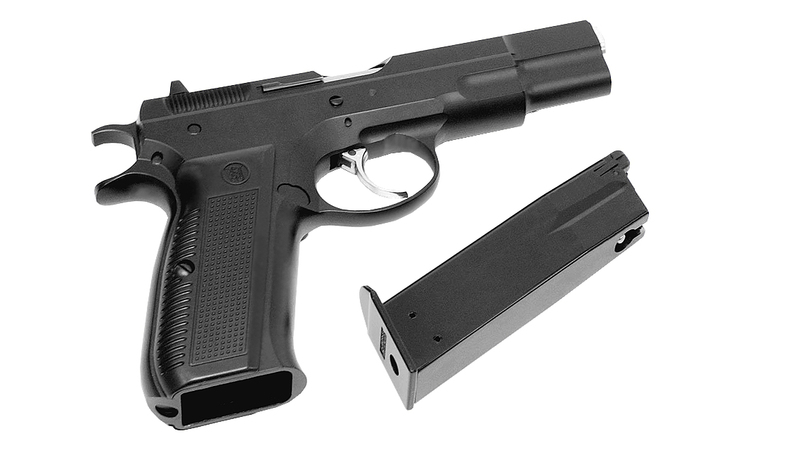 This pistol was adopted by the Turkish armed forces, some states in the US and other countries worldwide. 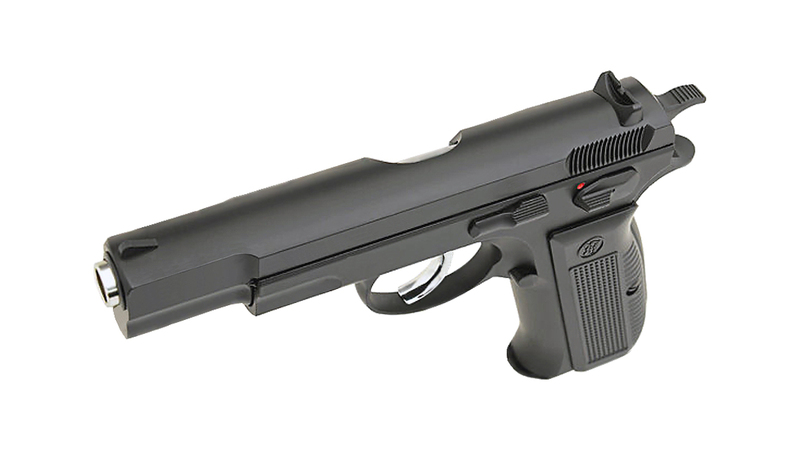 This airsoft replica manufactured by KJ Works copies the real weapon details. The operation of this replica is very similar to real one. The recoil is strong and manage to impress the War game players.It is made of metal and the handle grips are made of resistant plastic ABS. 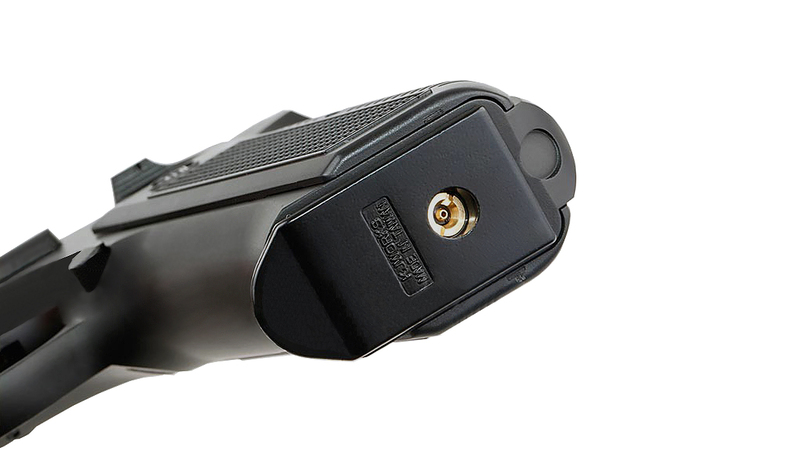 On the left side there are the command like: slide catch, safety and mag catch, thus this pistol is recommended for right-handed users. The pistol sights are fixed and well orientated. 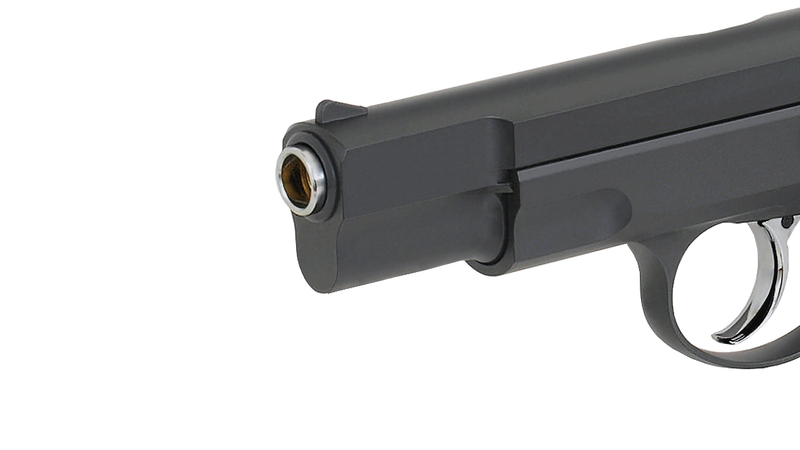 The internal mechanisms of this airsoft replica are made from quality metal and therefore is wear resistant and reliable over time. 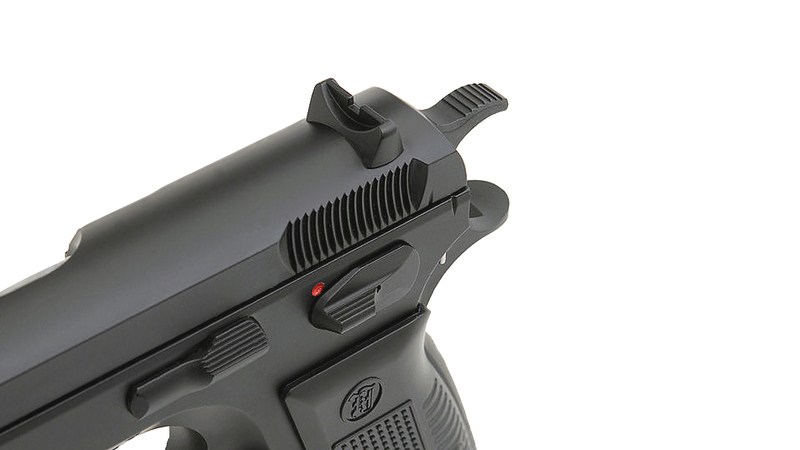 The replica is equipped with an adjustable hopup system, allowing greater engagement distances. Airsoft replica speed measured with 0.20g bb's is about 85-90 meters per second. The Hopup level setting is inside, so it is necessary to remove the slide to acces it. Hopup's setting is fine and will remain setted once fixed in position. This airsoft pistol replica works on Green Gas, can work with weaker gas variants but not stronger as this may damage the replica. 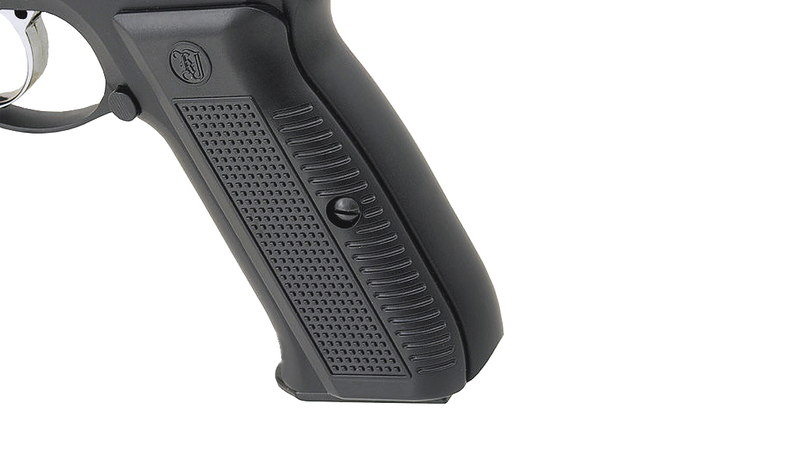 In optimal temperature and operating conditions, with a full of gas the replica is able to act the entire magazine and block the slide to empty postition. Performance levels are achieved at ambient temperatures exceeding 15°C.